The students will be attending free of charge and incorporating aspects of the performance into their academic classwork thanks to the three-year- old Arts Integration Program. Professors from music, English, communications, theatre and dance, Chicano and Latino studies and criminal justice and criminology are incorporating aspects of the performance into their coursework. “I feel energized by the social justice aspect of this performance,” says Scott Horstein, associate professor of contemporary theatre and dramaturgy, who is heading the Arts Integration Program on campus. Horstein has produced events on campus in recent years discussing similar themes, including “Facing Our Truth,” a series of 10-minute plays about Trayvon Martin. 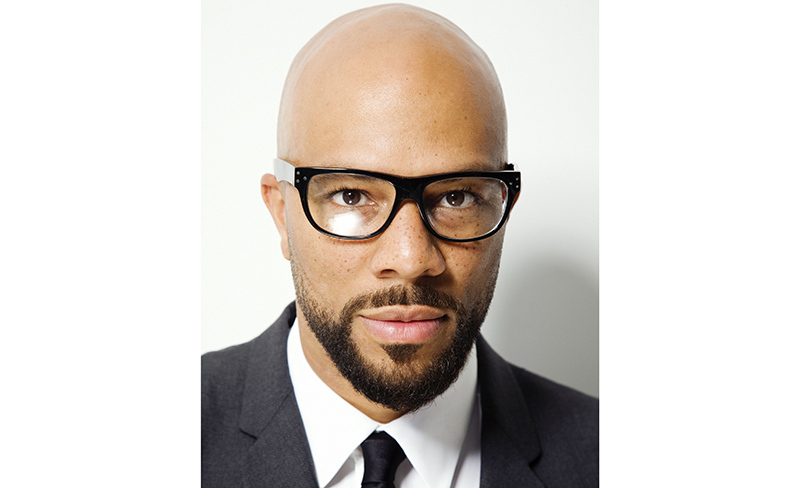 Common’s intellectual lyrics feature themes of social justice and political reform. Last year he released his 11th studio album, “Black America Again,” to critical acclaim. “Glory,” his collaboration with John Legend for the film “Selma,” won Best Original Song at the 2015 Academy Awards. In addition to the academic component of the program, another goal is to get students familiar with the world-class performing arts facility on campus. “There’s a real vested interest in having the students become citizens of the university and get them out to the Green Music Center,” says Horstein. As part of the program, Horstein often visits classes to discuss performances, while GMC staff visit classes to give a brief introduction to the performing arts facility. This is the largest group to attend a single performance through this program, which saw about 400 students attend a performance last year of the Folger Consort with Shakespearean actor Derek Jacobi, which combined excerpts from Purcell's chamber opera "Dido and Aeneas" with a dramatic reading of Shakespeare's "Measure for Measure." Sonoma State University's Commencement 2017 ceremonies will be spread out over two days and take place at the Green Music Center. Interim Provost and Vice President for Academic Affairs Jeri Echeverria made the announcement in an email to campus Friday afternoon.